Chinese Painting has got an age of more than 2 000 years old. Three major kinds of subject matter dominate Chinese painting. They are birds and flowers,figures and landscapes of the countryside, mountains and sea. Chinese painting is also closely related to the art of fine handwriting called calligraphy. Chinese painters use black ink to produce different tones and a brush to make many kinds of lines. Even when they added color, the ink drawing remained the basic of the design. In judging paintings, the Chinese paid more attention to the brushstrokes than to the subject matter. 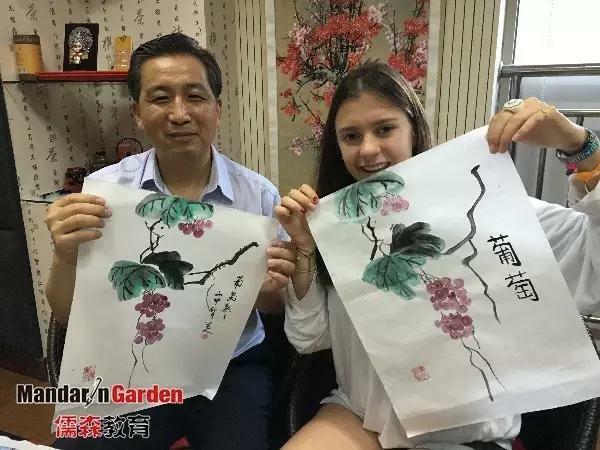 Chinese painting,also known as the traditional national painting,one of the traditional fine paintings with a long history, has its unique and independent system in the world's fine arts field. Using brushes, ink, and Chinese pigments, a painting is drawn on a special kind of paper (Xuan pa-or silk). The traditional subjects are figures, landscapes,flowers and birds. They are divided into two different styles ： one is Gongbi,or meticulous painting, the traditional realistic style characterized by fine brushwork and close attention to detail, the other is Xieyi,or impressionist painting, the freehand brushwork style characterized by vivid expression and bold and vigorous outlines. The forms of painting include wall paintings, screens, scrolls, albums, and fan covers. There is also unique mounting and paper hanging skill for paintings.